After renovating their expensive loft in the TriBeCa section of Manhattan, Molly (Demi Moore) and Sam (Patrick Swayze), a young successful yuppie couple, are walking home one evening when Sam is tragically gunned down by a street mugger. Molly goes into a deep depression, but, unknown to her, Sam has come back as a ghost in order to protect her from danger--although he isn't yet aware who or what means her harm, and he has a lot of learning to do in order to make himself known to her. He teams up with an unwilling psychic, Oda Mae Brown (Whoopi Goldberg), and together they try to convince a very skeptical Molly that Sam was actually murdered and has returned spectrally to complete some unfinished business. Moore and Swayze and are excellent as the couple, and Goldberg won an Oscar for her portrayal of the wild and wacky psychic. Ghost is considered by many to be one of the most romantic films of the 1990s. $12.191 million on 1101 screens. Yes, I’ve known some dim bulbs in my time. Back in 1990, I worked a part-time job at a restaurant. Our bartender Darrell and I used to chat about movies, and one day he started to talk about how much he wanted to see an upcoming release called Ghost Believe. Since I hadn’t heard of the film in question, I let this go, but as time progressed, it soon became apparent that he was discussing Ghost - “believe” was just the movie’s tag line. Well, Darrell never was the brightest guy you’d ever meet, but at least he was ahead of the curve on this one. As I noted, I knew little about Ghost until it actually opened at local theaters. From the few previews I witnessed, it looked pretty terrible. Ghost appeared to be nothing more than a lame, pseudo-mystical piece of fluff that would clearly take itself too seriously. While Darrell looked forward to it, I had no interest in the film. However, I was surprised to hear differently when the movie eventually debuted. From what I read in reviews, Ghost apparently was more of a comedic thriller than a moody piece of New Age fluff. After that, I decided to give the film a shot, and I ultimately agreed with the critical descriptions. Although Ghost packed in a variety of elements, it wasn’t what I’d initially thought it would be. Not that this meant I actually liked the thing. While I can’t say I thought it was a bad film, I also could not claim to really enjoy Ghost. Ultimately, I found it to be a mildly interesting piece of work, but not one that captivated me in any manner. I seem to have been in the minority in that regard, as Ghost became a major hit. It was one of those “sleeper” films that emerged from nowhere and went on to do spectacular business. In the crowded summer of 1990, Ghost took in more money than any of its competitors, and it eventually lost the year’s top-grosser honor only to mega-hit Home Alone. After that holiday smash, Ghost took in more money than any other flick from 1990, including major successes like Pretty Woman and Dances With Wolves. Despite its many other elements, it really seemed to be the romantic aspects that grabbed Ghost its audience, which appeared to be what led to its many repeat customers. As I recall, Ghost was especially popular with the middle-aged female crowd, who aided that terrific gross. I think the same five 45-year-old women in Cleveland accounted for about half of the film’s $217 million take. The success of Ghost even helped bring it some surprising honors. It was nominated for five Academy Awards, including a shocking nod for Best Picture. Of course, it didn’t win that prize, and this was one of those cases in which it really was an honor just to have been nominated. Still, it took home an award for its screenplay, and Whoopi Goldberg earned a trophy as Best Supporting Actress, so the night was quite successful. Granted, it wasn’t as big an Oscar night as the one experienced by another film that reminds me a lot of Ghost: Titanic. On the surface, they seem to be dissimilar projects, but both succeeded for many of the same reasons. They had enough “guy appeal” to make them acceptable for a male audience, and they combined elements of a variety of genres. Primarily, however, they were seen as romance films, and that’s what brought them a lot of their money, as love-struck females flocked to watch them again and again. Personally, I think this was a much more important factor in the success of Ghost than it was for Titanic. The latter made almost three times as much money in the US, and though its detractors claim that it earned all that dough due to the female teenybopper crowd who couldn’t get enough of Leonardo DiCaprio, that’s clearly not the truth. No film claims a $600 million US gross due to a niche audience. In truth, no movie could take home $217 million in the US just because of a certain limited crowd, but I think it’s likely that Ghost’s partisan participation was responsible for a much higher percentage of its sales than was the case for Titanic. How much of that niche still cares about Ghost is a mystery to me, however. Ghost begins with a happy occasion. Young couple Sam Wheat (Patrick Swayze) and Molly Jensen (Demi Moore) have just moved into a New York loft, and all seems right in their world: they’re young, they’re hot, they’re in love. Sam seems to be quite successful as a banker, and Molly does nicely with her artwork. What could possibly go wrong? Quite a lot, apparently, as the situation quickly becomes negative. After they leave a play, Sam is shot and killed during a robbery attempt. As such, he then enters the land of the spirits, and he tries to cope with this status. His situation becomes tougher when he learns that Molly’s in danger and he needs to communicate with her. Through happenstance, he encounters a fake psychic named Oda Mae Brown (Goldberg), but it turns out that she actually possesses some gifts, and he’s able to make his thoughts known to her. The remainder of the film shows Sam as he works through his ghostly issues and digs into the complications of the plot, all of which are more serious than originally obvious. Probably the best aspect of Ghost is the manner in which it combines the different genre elements. It doesn’t stick too long with just one of them, so the comedy, action, suspense and romance all mix together nicely. It’s rare to find a movie that is able to span a variety of themes so well. Ghost blends its different sides together in a smooth and neat package, so that - unlike something such as the incoherent Crazy In Alabama - the story moves at a sensible pace and the varying genres coalesce effectively. That said, I never feel any of the different elements become especially compelling. Yes, Ghost mixes themes in a natural manner, but that doesn’t mean that it excels at any of those genres. I’d have to say that the romantic aspects are probably the best executed. After all, those are the film’s bread and butter, and the pottery-related love scene is still the movie’s most famous segment. As for the comedy, virtually all of it rests in the hands of Goldberg, and even though she took home an Oscar, I’m not terribly impressed with her performance. Throughout much of the film, it feels like we’re watching a cut-rate Eddie Murphy impersonator. I think that Goldberg is mildly amusing, and her presence keeps Ghost from becoming the drowsy mystical piece I’d originally expected, but I don’t think she offers anything special. However, in comparison with some of her costars, she’s quite good. Actually, that’s too sweeping of a generalization. Moore is perfectly fine as Molly, especially since the character has little to do other than cry. And boy does she! Moore seems to weep in 95 percent of her scenes; I doubt she retained any moisture in her body once the shoot ended. Tony Goldwyn is appropriately slick and weaselly as Sam’s friend Carl, and Vincent Schiavelli offers a memorable turn as a nutso subway spook. The weak link is Swayze, who seems like little more than a vapid pretty boy throughout the movie. He looks good in the part, but that’s about it, as he never makes Sam a character about whom I care. It doesn’t help that early in the film he and Carl are characterized as smug yuppies. That persona makes sense for Carl, but it creates a notion of Sam that leads me to vaguely dislike him. Swayze lacks the charisma to ever overcome those initial thoughts. Granted, Sam seems like a nice guy, but there’s no spark or personality that makes me interested in him. It doesn’t help that Swayze proves to be completely inept when he has to display emotion. Though I suppose he handles some of Sam’s weepier moments fairly well, he looks laughable when he has to show rage or other darker feelings. My general dislike of Swayze is probably my biggest problem with Ghost, as I simply rarely buy into his character. Nonetheless, Ghost remains a decent movie after all this time. Its enormous success baffled me in 1990, and it still makes no sense to me, but I do recognize the smooth manner in which it jumps across a variety of genres. This variety helped make the film more broadly appealing, and it meant that despite some flaws, Ghost still could be fairly entertaining. Only one thing about Ghost made me bitter: its use of the Righteous Brothers’ “Unchained Melody”. I’d never heard this tune until the year before the film’s release when U2 put out a terrific cover of it on the B-side of their “All I Want Is You” single. After that, I was excited to turn on my friends to this great song, but my legs were cut out from under me when Ghost made it a tune known by everybody. God forbid I lose my territorial rights, and I’m bitter to this day! Ghost appears in an aspect ratio of approximately 1.85:1 on this single-sided, dual-layered DVD; the image has been enhanced for 16X9 televisions. Overall, the movie looked very positive. As a whole, sharpness seemed quite good. Except for some minor softness in a few interiors, the image came across as nicely crisp and well-delineated. Moiré effects and jagged edges presented no concerns, and edge enhancement appeared absent. Very few source flaws popped up along the way. I noticed a couple of specks but little else to mar the proceedings. Colors usually appeared nicely bold and full. The gaudy outfits worn by Goldberg came across especially well, as they looked quite vivid. Other shots showed smooth and rich tones as well. Shadow detail remained fairly good, as the film’s low-light sequences appeared appropriately dense but not excessively thick. Backs were a little too dark at times but usually seemed deep and dark. Ultimately, Ghost provided a pretty strong visual experience. To my surprise, I was quite impressed with the Dolby Digital 5.1 soundtrack of Ghost. The soundfield provided a rather active and engaging affair that drew me into the film. The forward spectrum presented a nicely broad and well-spread image that created a lively atmosphere via music and effects. At times the localization seemed a little spotty, and panning could be a bit weak. For example, in one scene, a subway train moves from right to left, but the audio stayed pretty firmly anchored in the center. However, that scene was an exception, as most of the track showed sound that appeared appropriately placed. Surround usage also seemed strong. For the most part, the rear channels functioned as reinforcement of the forward speakers. I heard good atmospheric use of music and effects from the surrounds throughout the movie. However, at times the rear channels really came to life. This was especially true when Ghost Sam would pass through an object; the audio would give us a “you are there” ambience that was quite involving. While the soundfield of Ghost wouldn’t match up with many modern mixes, it still seemed very positive for its era. Audio quality seemed generally good as well. Dialogue could be a little flat and occasionally displayed some slight edginess. However, for the most part, speech appeared distinct and natural, with no problems related to intelligibility. Effects displayed nice clarity and depth, and they lacked signs of distortion; the various elements appeared clean and accurate. Music functioned especially well as Maurice Jarre’s Oscar-nominated score came across as bright and vivid. The music showed nice dynamic range as well, with some clear highs and appropriately deep lows. As a whole, I was quite impressed with the audio for Ghost; it provided a compelling environment. How did the picture and audio of this Ghost “Special Collector’s Edition” compare to those of the original 2001 DVD? I thought both provided virtually identical audio, but the visuals of the 2007 SCE worked better. 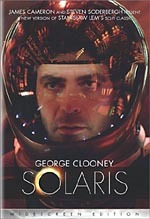 The new DVD presented slightly better definition along with fewer source flaws. While the 2001 disc looked fine, this one seemed a little stronger. The 2007 SCE replicates some of the old disc’s supplements and adds a few new ones. I’ll mark repeated components with an asterisk. If you fail to see a star, that means it’s an element exclusive to this DVD. First up is a running *audio commentary from director Jerry Zucker and writer Bruce Joel Rubin. Both men were recorded together for this screen-specific affair. Normally the director would dominate this kind of effort, but here the opposite is true as Rubin provides the lion’s share of remarks. His attachment to the piece remains evident as he really digs into Ghost. I learned a lot about his motivations and what he wanted to do with it, and we get a nice look at his side of the creative process. Zucker doesn’t say as much, but his statements are also valuable. He tends to concentrate less on the introspection and more on the nuts and bolts of the production, and he does so with humor and style. While you won’t hear any real “dirt” on this commentary, both men show a nice willingness to criticize the piece and to discuss disagreements they had while they made the film. Since so many commentaries focus only on positives and praise, it’s nice to hear a track in which the program is viewed honestly and realistically. Overall, I thought this was a fine commentary. A new documentary called Ghost Stories: The Making of a Classic runs 13 minutes and six seconds. It combines behind the scenes elements, movie clips, and interviews. We hear from Zucker, Rubin, production designer Jane Musky, and actors Patrick Swayze, Demi Moore (from 1990), and Whoopi Goldberg. “Classic” looks at how Zucker came onto the project and his collaboration with Rubin, casting, characters and performances, Zucker’s style on the set, and the flick’s success. “Classic” offers a quick but satisfactory recap of the production. Quite a lot of the information also pops up in the commentary. The inclusion of the other participants manages to shed a little extra light on matters, but don’t expect much new material. Still, this stands as a reasonably good overview. A featurette named Inside the Paranormal goes for eight minutes, 35 seconds and presents statements from spiritual medium/psychic Shelley Duffy, psychic medium Laurie Campbell, medium George E. Dalzell, and spiritual medium James Van Praagh. They discuss what it’s like to be psychic and how they knew they possessed the “gift”. They also discuss how Ghost connects to the “facts” of their field. Yes, you’ll accurately interpret a heavy dose of skepticism toward the psychics’ claims and beliefs. If I remove that attitude from the equation, I find “Inside” to be in interesting program. It gives us a straightforward glimpse of its subjects and doesn’t endorse or condemn the comments; we get them as-is and take from them what we want. It’s a nice take on matters. Next we find the six-minute and 17-second Alchemy of a Love Scene. This show includes notes from Rubin, Zucker, Musky, Moore, Swayze and director of photography Adam Greenberg. We learn why the filmmakers made Molly a potter and look at Moore’s training in the field. We also learn of complexities shooting the famous pottery love scene and find out about the musical choice for it. “Alchemy” gives us a tight view of the elements that went into the movie’s signature sequence. Cinema’s Great Romances fills 19 minutes, 44 seconds and features remarks from Rubin, Goldberg, AFI historian Patricia Hanson, film critic/author Jami Bernard, USC School of Cinematic Arts professor Drew Casper and author Kim Adelman. We hear about AFI’s “100 Years… 100 Passions” list and get info about 14 of the flicks included on it. In addition to Ghost, we find notes about Roman Holiday, Love Story, A Place In the Sun, Barefoot in the Park, Sabrina, Reds, Grease, An Officer and a Gentleman, To Catch a Thief, Harold and Maude, Witness, Titanic, and Breakfast at Tiffany’s. I don’t suppose it comes as a surprise that Paramount owns all 14 of these movies. That means “Romances” feels more like a promotional piece than a real examination of the various flicks. We get just enough info about each movie to attempt to sell it to us. No greater depth appears in this glorified advertisement. In addition to the film’s *theatrical trailer, we also find a photo gallery. It presents 63 shots that mix pictures from the set, from the movie, and from publicity campaigns. None of them seem very interesting. Finally, the disc opens with a promo for Dreamgirls. 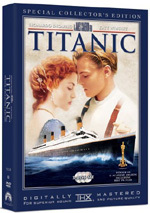 This ad also appears in the DVD’s Previews area along with clips for Titanic and The Last Kiss. Does this 2007 SCE drop anything from the 2001 DVD? Yes – we lose a 22-minute and 20-second documentary called “Ghost: Remembering the Magic”. That was a decent program but not anything terrific. Most of its information comes out via this disc’s “Making of a Classic”. While we might lose a nugget or two, that’s about it. It’s not a big loss. Almost 17 years after it took theaters by storm, I remain unimpressed by Ghost and still can’t figure out what all the fuss was about, but I acknowledge that it’s a generally entertaining and well-made film. It combines a variety of genres into one fairly fluid piece, and though it has its share of problems, it still can be interesting and compelling at times. The DVD offers very good picture and sound plus a reasonably interesting complement of extras. This acts as a nice release of a popular film. While I clearly think Ghost fans who don’t own the old DVD should pick up this one, the question becomes less clear for those who already possess the 2001 release. Both offer identical audio, but the 2007 “Special Collector’s Edition” presents moderate improvements in terms of picture quality and supplements. Though these aren’t enormous upgrades, they exist, and the DVD’s low list price makes it enticing. If you’re happy with the old disc, don’t bother to get this one, but if you’re willing to throw the $15 list price or less at it, I think you’ll feel happy.